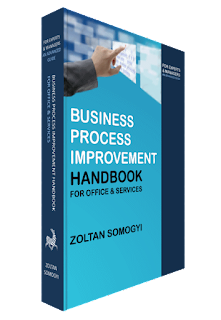 Full title of the book: BUSINESS PROCESS IMPROVEMENT HANDBOOK FOR OFFICE & SERVICES, FOR EXPERTS & MANAGERS AN ADVANCED GUIDE, Zoltan Somogyi, 2016, ISBN 9789090296203 (more than 500 pages). Applicable to many sectors as e.g. 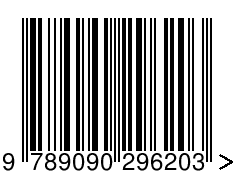 : FINANCIAL SERVICES: RETAIL BANKING, COMMERCIAL LENDING, INSURANCE, CREDIT CARDS, MORTGAGE BANKING, BROKERAGE, INVESTMENT ADVISORY, ASSET MANAGEMENT • PUBLIC SERVICES: HEALTHCARE, CENTRAL GOVERNMENT, LOCAL GOVERNMENT, POLICE AND JUSTICE, FIRE AND RESCUE SERVICE, EDUCATION • CONSUMER PRODUCTS AND RETAIL • TELECOM, MEDIA & ENTERTAINMENT • ALSO BUSINESS ADMINISTRATION, SALES, MARKETING, PURCHASING, HR, R&D, FINANCE,… IN MANY OTHER SECTORS. Business Process Improvement (BPI) and Management (BPM) became a very important subject the last few years. In all of the sectors, without exception, there are BPI initiatives in progress. Because of the very severe legislation in the Financial sector (especially the last several years because of the financial crisis), because of the high risks (market risk, operational risk, etc.) and because of the often very complex processes involving very specialized work across several departments there are more and more business process improvement and management initiatives. Over the last few years there are huge changes in the Consumer products and Retail sector also because of the change in the way how consumers shop and what they expect from the retailers. It is not only because of technological innovation but also because of the globalization. Companies in the consumer products and retail sector are struggling to adapt to these changes. 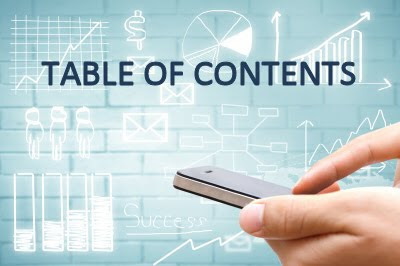 Online, mobile and social commerce are dramatically changing and complicating the processes of the organizations in the sector. In the Telecom, Media & Entertainment sector the growing number of often complex products and services, which are frequently changing, the management of the also growing number of new technologies all constitute to a lot of problems in most of the internal processes as sales, billing, customer support, maintenance, etc. 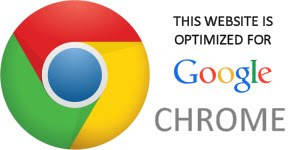 Business process improvement became a necessity. In Public services the drivers for BPI are the reduction of cost, the development of efficient processes and to respond to policy. 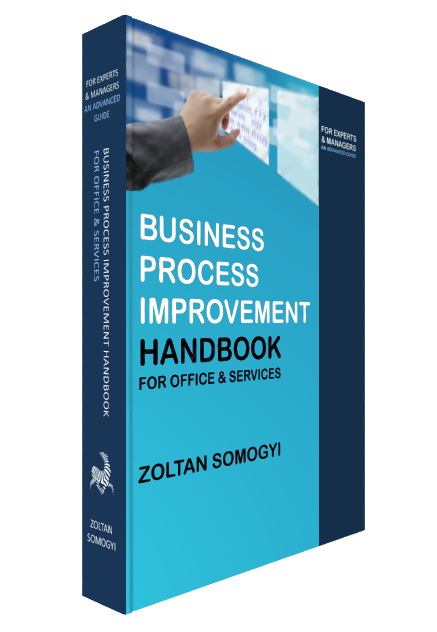 This more than 500 pages handbook describes step by step in detail the systematic project based business process improvement methodology in office and services together with all necessary tools and techniques, with a lot of real world examples and with a comparison between the different sectors. 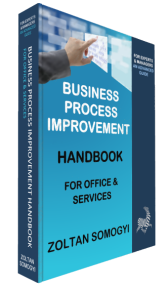 Because of its importance, there is a chapter with ICT/software tools for BPI and BPM. There are also more than 250 pages dedicated to data analysis, variation analysis, decision modeling, queuing systems, networks of queues, etc. for BPI with many examples explained in MS Excel. 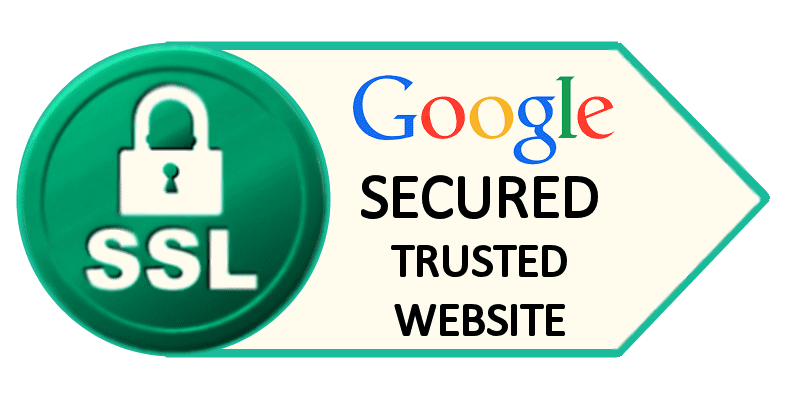 You may implement the whole methodology or you may use the parts which are interesting to you. The collection of methods and techniques presented is unique on the market, especially because of the focus on Office & Services! The main objective of the book is to help the reader applying the presented methodology, tools and techniques. 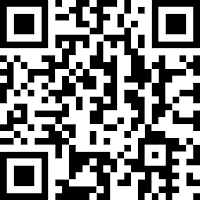 There are more than 40 examples presented with extensive explanation! The book is accompanied with several ready to use professional MS Excel BPI tools and worked out examples!